dal is a curative comfort against the winter blahs. over fragrant bowls of steaming basmati rice. prepared by hand in a traditional Indian kitchen. This post is for Srivalli of Cooking 4 All Seasons, hosting MLLA- Seventh Helping. It is also for Sunshine Mom of Tongue Ticklers, hosting Food in Colors - Yellow. Sunshine Mom is the creator of this popular color-themed monthly event. If ever an ingredient can set a blaze of yellow fire, it is turmeric. Finally. It's taken me too long. Feels forever ago that Lucy tagged me for the Six Words Meme, where you condense a description of yourself to just six words. Actually, I can distill it down to one: Complex...so rather than wrestle with the other five, I've spun the meme to highlight A Few of my Favorite Things. Six, to be exact. Perhaps some of them are yours, too. Sift powdered sugar, hazelnuts and flour into a large bowl. Whisk to combine. Pour in egg whites, beating with the whisk or a large spoon until they are well mixed. The batter will be wetter than you'd expect, moderately thick and slightly elastic. Pour in melted butter and stir until smoothly blended without any butter separating from the batter. Stir in vanilla extract. Fill well-greased, small and shallow metal molds (financier, barquette, madeleine or mini muffin) almost to the rim with batter. Support the filled molds on a heavy baking sheet before placing on center oven rack to bake for 7 minutes. Reduce heat to 400 degrees F and continue baking another 7 minutes. Turn off heat to let them set in cooling oven for a final 5 minutes. * Ground hazelnuts can often be found in health food stores and metropolitan supermarkets. You can also grind your own in a food processor or blender, but take care not to grind too long or the result could be nut butter rather than a fine, yet gritty meal. Grinding in small batches allows for better control. Baked in traditional financier bullion molds. Baked in fluted barquette mold. 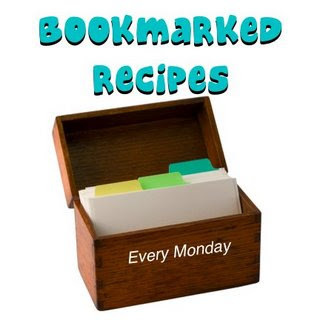 This post is for Ruth of Ruth's Kitchen Experiments, creator and host of Bookmarked Recipes, the weekly event that highlights recipes we've noted to try from periodicals, cookbooks, TV shows and blogs. If you'd like to be tagged for this meme, please leave me a comment. I'll be glad to amend this post with a link to you.